Hello, everyone. How's your December been so far? Mine's been busy, in a mixed-up sort of way. Work's been hectic. My parents are visiting. The former is not so great. The latter is pretty freakin' awesome. My parents have been staying at my uncle and aunt's place out in the southeastern suburbs, and on the weekend, I hopped on a tram so I could join them for a couple of days. It's like a different world out there. I'm used to my little apartment, and the hustle and bustle of inner city life. Whenever I visit my uncle and aunt, however, I'm transported to a quiet neighbourhood. Laid-back. Spacious. Peaceful. And there's a garden. Oh yes. I do so miss having a garden, and my aunt has got a rather fabulous one. Forget about flowers... this garden is full of food. Just the way I like it. Friday morning, I languidly wander off to the patio deck, walk down the stairs, and lo and behold, there's lettuce, so bright and verdant. 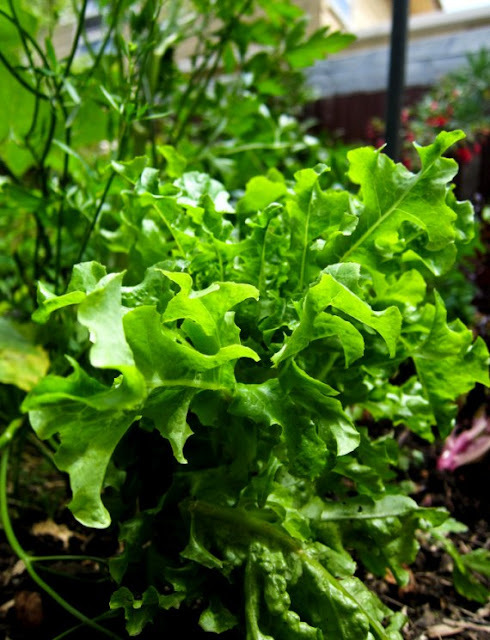 We enjoyed those gorgeous lettuce leaves in a salad that very night. 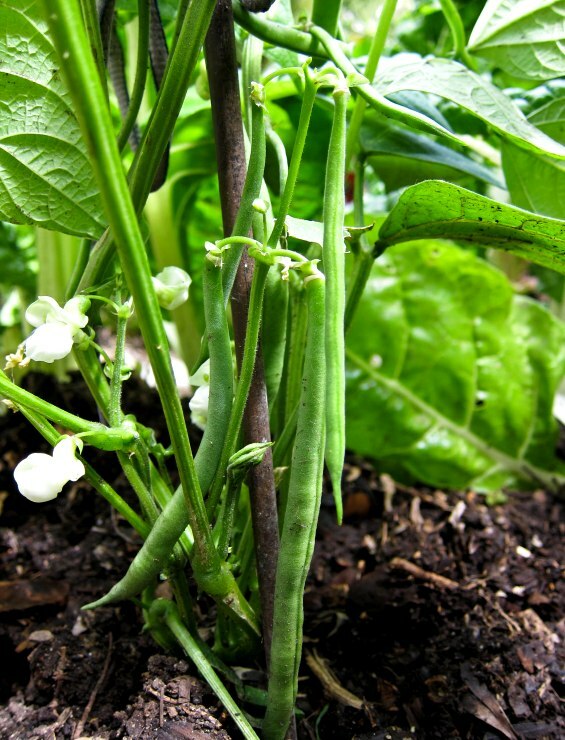 And just next to the leafy lettuce, the green beans sway, looking nice and crunchy. Green beans, you're not too shabby, either. I get distracted and wander off to another corner. Here we have tomato plants, and they're coming along nicely. Most of them are still green, but I spied this reddish beauty. I hope to sample one soon! 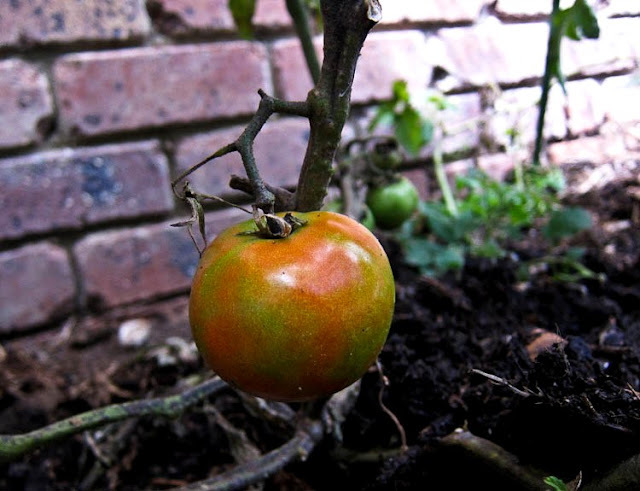 Oh tomato, you'll be mine one day. 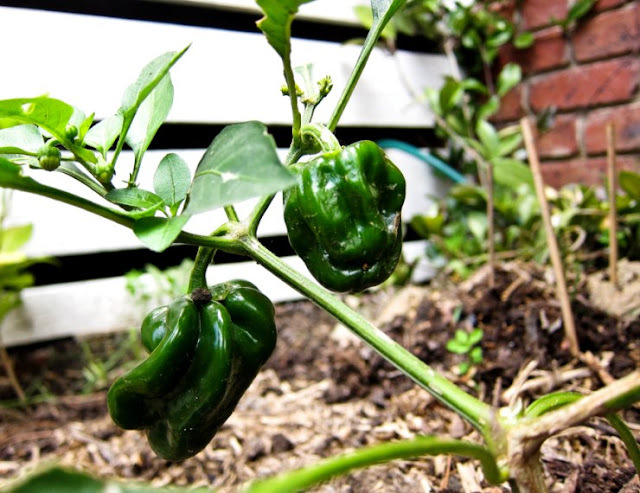 There's also a tiny capsicum plant with tiny green capsicums. Very cute. Baby capsicums, I look forward to you flourishing into handsome young men. Mum and Dad have been raving about the zucchinis from the garden. 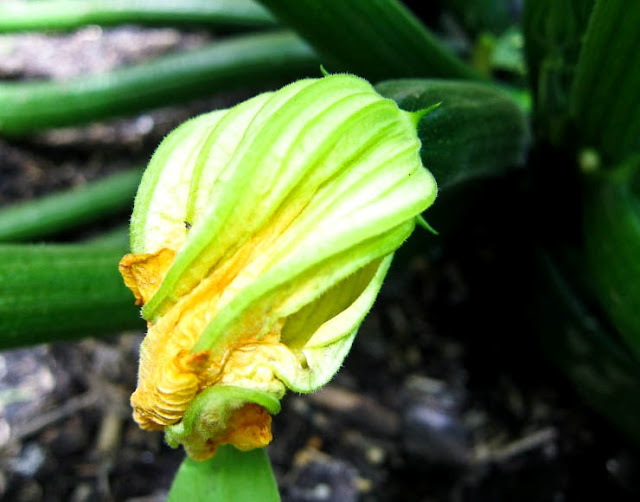 I soon found the zucchini fruits, complete with zucchini flowers, growing out from the base of the plants! Ah, zucchini, you're such a tease. At this point Dad enthusiastically comes over and leads me off to the potato plants. "Let's see if we can dig up some potatoes!" One of them had already sprouted, so we re-planted it. 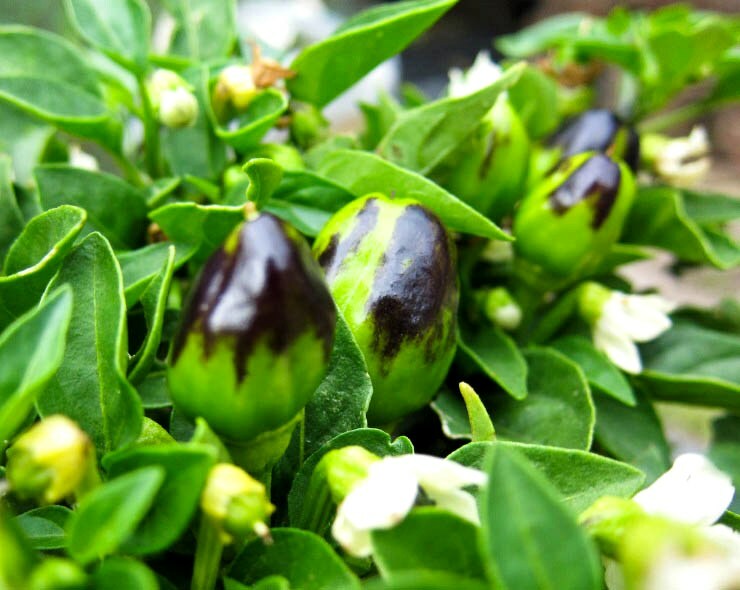 Then, together, we discovered these green-and-purple chillies. I'd like to get to know you better, pretty chillies. And not too far away, the strawberry plants, sitting pretty in a rectangular box of soil, where I found this young strawberry, blushing a pale pink. You're destined for great things, my little strawberry. Yes you are. Saturday afternoon, my aunt picks a few of the ripened strawberries. They look small and awkward; the colours are fairly subdued. But the taste... oh my. I can't remember the last time I had such perfectly sweet strawberries. They are beautiful, and I am so in love. And that's not all... but I think I'll leave the rest for another day! I'm sorry if the writing in this post seems a little choppy and unhinged - I put it together in a hurry. Hopefully the pictorial tour of the lovely produce makes up for it - and if you like what you see, I'll be back with more! 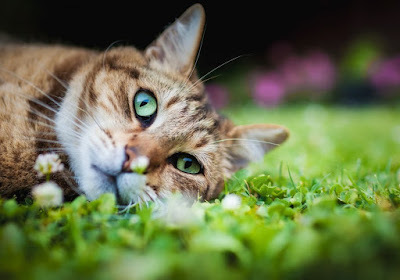 Such gorgeous photography! Where I used to live we had tons of strawberries in the garden, and wild blackberries out the back. Now all I have is a few herbs in pots in my kitchen! It's such fun to see your garden in full splendor as snow blankets everything here in Colorado. 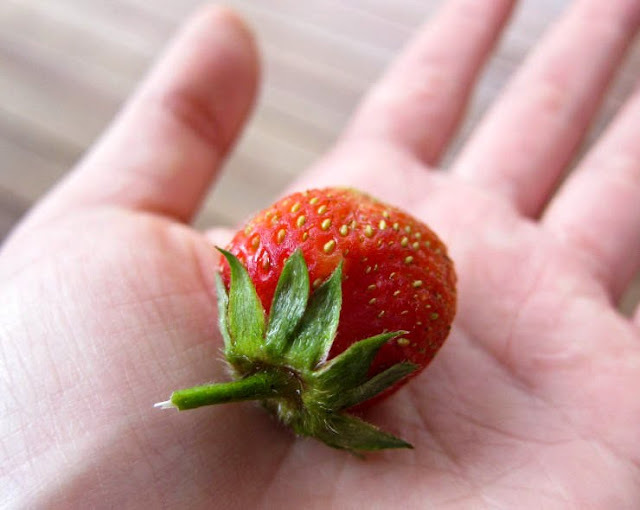 There is nothing better than the fragrance of a perfectly ripe strawberry! 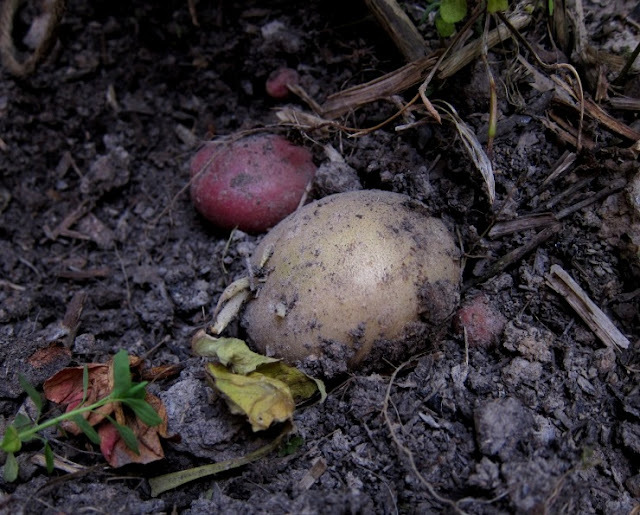 Nothing beats fresh produce freshly plucked from the earth in your backyard. I'm a very sad case with plants, but have been given a strawberry seedling to tend to. Let's see if that survives, haha! Ooooh, yet another reminder that I need to get my vegie garden back up and running! Hope you're having/have had a good time with your folks. 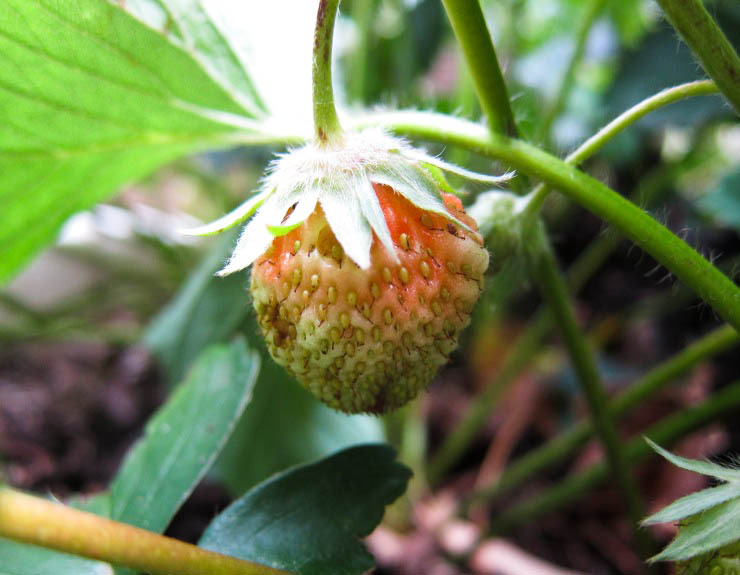 la domestique - there is certainly much joy in that splendorous garden, and those little strawberries! My dream is a huge edible garden. For now I have a few pots and a tiny square of earth that I fill with tomatos. How lovely that you get to visit (and eat) such a gorgeous garden. Nonsense, Leaf! Your writing is impeccable and fun to read as always. Guess it shows that you're really getting better by taking less time. Hopefully it was the book that helped as well (I'm a seriously slow reader, barely finished a quarter of it!). I don't think this post is choppy, I think it shows your enthusiasm and joy at the beautiful produce! I'm so envious; I don't even have a window ledge big enough to grow herbs on! Love it, I think you are my kind of person and I am delighted to have met you! Aww thanks Hannah. I hope you get to grow your own food one day! What an amazing assortment of vegetables and fruits. So healthy and happy looking too! I love gardens and your aunt does a smashing job! wow! i am so jealous of your beautiful garden. the strawberries will be wonderful. Aren't you lucky that it's summer right now!! And what a luscious garden ... if I tried that I fear the rats would get all the goods. Shocking! It really is incredible, muppy! Thanks msihua! That garden has a lot of love put into it for sure. Reminds me of my great-grandparents and their little garden. I wish we had the room to have something like that where we are now. I real strawberry! lol yeah I agree, home grown doesnt look always that appetizing but they are a million times better tasting. Nice little garden! Thanks Helene! They really do taste so fabulous. wow! gorgeous photos! everything looks really good. thank you for sharing this. Eu também tenho um jardim, com flores e verduras comestíveis como salsa, cebolinha, couve, coentro e outras verduras orgânicas. Edible gardens........they're the best eh!! !